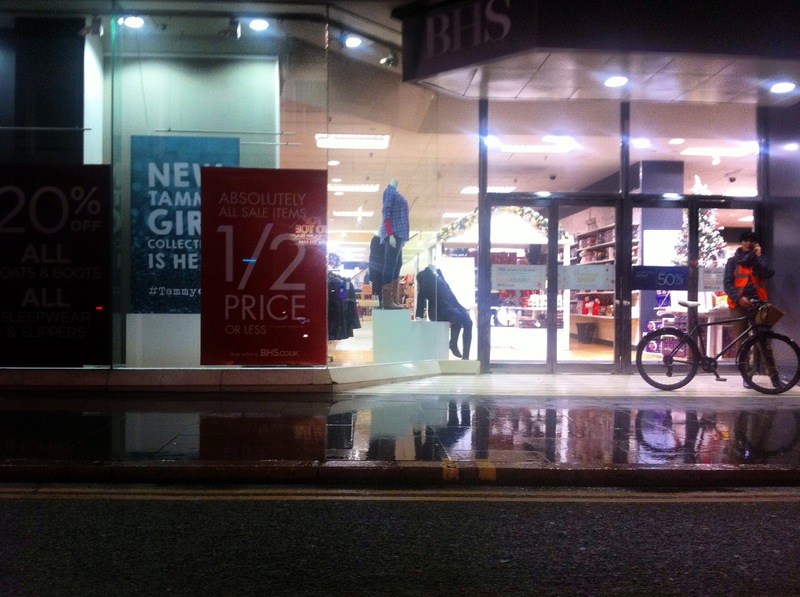 The closest I get to going into British Home Stores these days is to walk past it. BHS used to be a landmark shop for ordinary folk with ordinary taste and a patriotic streak, all merchandise proudly claiming to have been made in Britain. Not these days, only the name remains. The shop looks so dowdy. Boring. Unenticing to the point of drawing me in. I walk over to the entrance but I’m just too late. Peering in I’m glad it’s closed. Headless male mannequins in grey suits lounge on white hardboard stands. A sign proclaiming ‘NEW TAMMY GIRL COLLECTION IS HERE’.